Japan Technology based Air tubing factory from Ideal Bell! 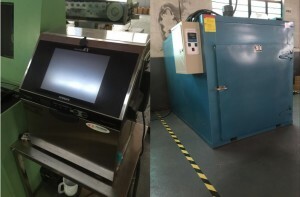 Home/Blog/Congratulations on Ideal Bell Air Tubing Factory! Today pls kindly allow me simply introduce our Tubing factory to you. It starts with Japan project 2 years ago, so the production line is designed and arranged based on Japan Technology! This year (2016) we passed all testings and begin to OEM for big Japanese brand stably, thus we have time to release it! 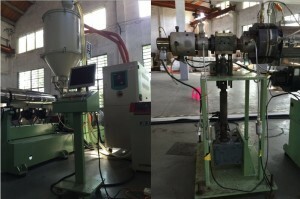 Production Machines are Japan-imported, applying composite screw technique and precise metering pump for extrusion. Raw materials are developed by USA & Japan lab., Colors use Clarinet toners. It costs more money but High Quality is controlled from material to every step of productions. However, it is made in china, so if you choose us, you can buy Japan quality with China cost! 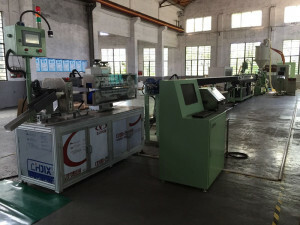 Below are some Factory Pics, welcome your visiting! Automatic detect out-of-tolerance tubings and cut them. All our tubings can be controlled within 0.1mm, for smaller sizes, tolerance can be controlled within 0.07mm. For any more details, pls feel free to contact us at sales@ideal-bell.com or click our Tubing item list to choose what you need! We will keep your email completely private and reply within 24 hours!